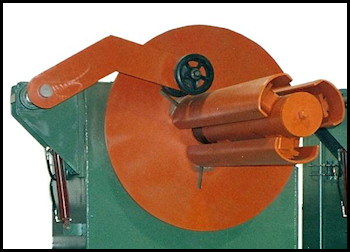 The Hold Down Arm is used to assist in handling and threading wide and/or heavy gauge coils. The roll contacts and holds the outer wrap of the coil while banding or unbanding the coil. It also assists in rewinding the coil or in the initial feed into the system.